The following is a general transcript of the video below. For more information about Dale Dahlin, please visit his website or subscribe to his YouTube Channel for more helpful tips. Dale Dahlin is an attorney in Lincoln, Nebraska . The following information is for general educational purposes only and not offered as legal advice. If you or someone you know has been in a motorcycle accident this information could be relevant to you. Of course, motorcycle accidents are similar to car accidents. The same rules of the road apply and the same negligence laws apply as well. One of the more significant differences between car and motorcycle accidents is the motorcyclist has the potential to be injured much more severely. These serious injuries lead to higher medical bills. They lead to more permanent injuries and more lost wages. These are all those factors that the injured party will have to contend with. Another difference is the payment of those medical bills. The medical bills from motorcycle accidents are usually higher and the injured party may be looking to use medical payments coverage and their own health insurance coverage to pay these escalating bills. Once an insurance company has paid a claim or claims, the company has what is termed “subrogation rights.” Meaning, they have the right to be reimbursed when you, the injured party, recovers damages from the at-fault party. 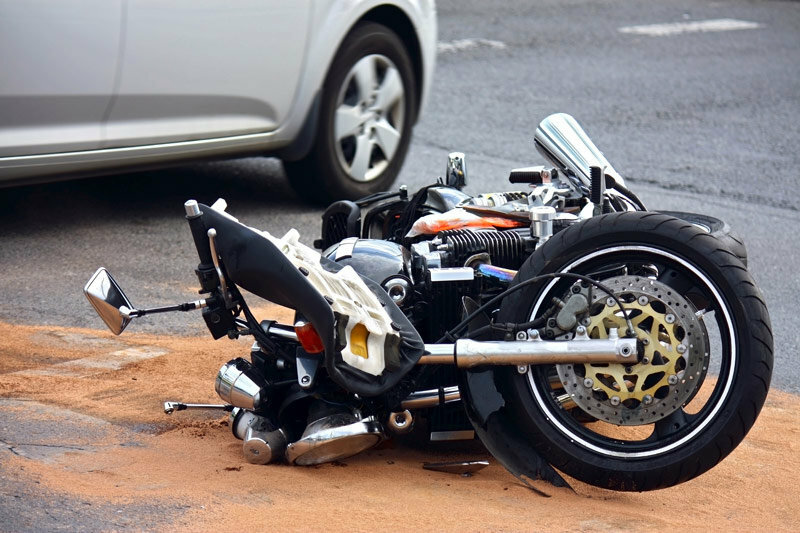 One of the more important factors in motorcycle accidents is getting the subrogation insurance companies to reduce their lean so that you, as the motorcyclist, get more from the settlement. As an attorney handling motorcycle accidents for clients, I have had good success in getting subrogation from insurance carriers to reduce their recovery and getting more into my client’s pockets. Nebraska has what is called “The Common Fund Doctrine” and “The Made-Whole Doctrine.” These principles can be used to convince an insurance company to reduce their subrogation rights and to put more into the pocket of my client/ the injured party. I think it’s very important if you’ve been in a motorcycle accident that you select an attorney with experience handling motorcycle accidents. An experienced lawyer will attend to the accident details as well as your injuries and all the insurance coverages that are involved. If you drive a motorcycle, it may be worthwhile to consider additional insurance protection in the form of “underinsured motorist coverage” (refer to my blog about this topic here). It is worth the extra expense to set high limits for this coverage. Oftentimes the party at fault may not have high enough liability coverage to pay all of the motorcyclists’ damages. You can recover from your own underinsured motorist coverage but you have to follow the statutes and do that correctly to be able to recover those amounts. There are many factors involved in handling cases involving a motorcycle accident; dealing with the insurance companies, and the statutes regarding recovering against that insurance. If you have any questions regarding a motorcycle accident that you’ve been involved in, please feel free to contact me at 402-423-4300. Thank you.